Francis Cecil Sumner was born in Pine Bluff, Arkansas on December 7, 1895. As a child, he was educated in the elementary school systems in Norfolk, Virginia, and Plainfield, New Jersey. Sumner had one brother named Eugene. After elementary school, he was self-educated with the help of his parents, David and Lillian Sumner. Sumner's early education consisted of intense reading and writing assignments given to him by his father, who too had been self-educated. Sumner's parents played a huge role in the education of their son. They would work extra hours to be able to buy him textbooks and other reading materials needed for his education. In 1911, Sumner enrolled at Lincoln University, at the age of 15 Sumner passed a written exam in order to be accepted because he did not have a high school diploma. 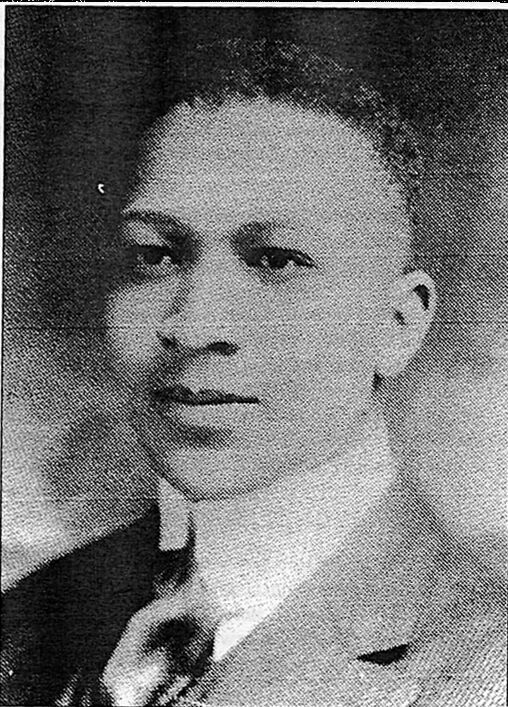 In 1915, Sumner graduated from Lincoln University at the age of twenty. He formed many good friendships at Lincoln, two of the most important were his relationships with the president of Clark University G. Stanley Hall, and his relationship with James P. Porter who was the Dean of Clark University and a professor of psychology. During the Spring of 1915, Sumner was notified by Porter that he had been accepted to Clark's undergraduate program for the fall semester. While attending Clark, Sumner continued reading many different books and he hoped to become a writer. In June 1916, Sumner received his second Bachelor's Degree in English. "The relationship between Francis Sumner and G. Stanley Hall steadily grew into one of mutual respect. There is little doubt that Sumner's admiration for Hall led him seriously to consider psychology as a graduate major" (Guthrie, p.218, 1998). In many ways, comments that G. Stanley Hall had made seemed to be prejudice and degrading to African Americans but Hall's actions towards African Americans could be considered liberal and just. According to Guthrie, Hall provided many forms of support not only for Sumner but for the advancement of many African Americans at Clark and in the field of psychology. It was evident that Sumner had a large amount of respect and admiration towards Hall, in his "To the Memory of G. Stanley Hall" Sumner spoke very highly of his friend. "In his manuscript, Sumner recalled the support and guidance given to him by Hall at Clark" (Guthrie, 1998). In the fall of 1916, Sumner again returned to Lincoln University as a graduate student and a German professor. While at Lincoln, Sumner recognized that he wanted to advance in the field of psychology so he began to look at different Graduate schools. After Sumner had heard discouraging responses from both Illinois and American University he called on G.Stanley Hall in hopes that Hall could help assist him. Sumner received his M.A. in June of 1917, and soon after he received word that he was accepted to Clark and been awarded a senior scholarship in the field of psychology. In 1918 and 1919 Sumner had to put his education on hold to serve in the United States Military during World War I. Sumner was summoned to Camp Meade Maryland where he completed basic training with the 48th Company, 154 Depot Brigade. In November of 1918, the Armistice was signed but Sumner remained in France until the middle of 1919. While in France, Sumner traveled to many different parts of Europe. Sumner returned to Clark in the fall of 1919 after he was discharged from the United States Army. On June 11, 1920 Sumner began his doctoral dissertation, "Psychoanalysis of Freud and Adler", that same day his thesis was accepted. On June 14, 1920 Francis Cecil Sumner became the first African American to receive a Ph.D. degree in psychology. Francis Cecil Sumner's first teaching job was at Wilberforce University as a professor of philosophy and psychology in the fall of 1920. In the summer of 1921, he taught at Southern University in Louisiana which is a historically Black university. In the fall of 1921, Sumner accepted a position at West Virginia Collegiate Institute where initially he was happy with the environment and the college. After seven years of being on the staff and writing many controversial articles involving the criticisms of colleges and universities and their treatment of African Americans and endorsing views of W.E.B. Dubois and Booker T. Washington, Sumner resigned on August 31, 1928. Sumner left West Virginia and went on to Howard University and became the acting chairman of the department of psychology. Sumner was married twice, his first wife was Francees H. Hughston in 1922 and his second wife was Nettie M. Broker in 1946; Sumner had no children from his two marriages. On January 12, 1954, Dr. Francis Cecil Sumner died of a heart attack outside his home in Washington D.C. Many students described Dr. Sumner as "low keyed and very dedicated"; as a very quiet and very unassuming individual who was brilliant with tremendous capacity to make an analysis of an individual's gestalt"; and as "Howard's most stimulating scholar" (Guthrie, 1998, p.229). For more information on Sumner's accomplishments see Professional Biography.